Co-hosts Nzinga Curry and Major (MAJ) Brad Cooper speak with young professionals CPT Jared Stefani and civilian Ms. Alexis Williams about careers, professional development, and which Army topics resonate with them. Army Real Talk, a segment of AUSA’s Army Matters Podcast, aims to help AUSA and the Army better connect with the younger generation. Sergeant Major of the Army (SMA) Daniel A. Dailey joins SMA (Retired) Kenneth O. Preston, Vice President, NCO & Soldier Programs, Association of the U.S. Army. They have a candid discussion about the new Army Greens uniform which is based on the iconic WW2 design. Why is it needed now? What do soldiers think? How and when will it be issued? 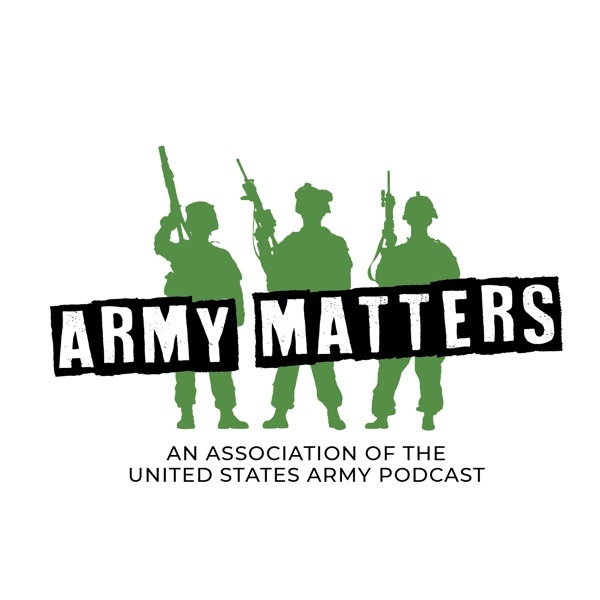 AUSA is excited to announce our Army Matters podcast focusing on what’s important to the Total Army community. Each Monday, starting February 4th, AUSA’s Army Matters will bring you vital Army conversations and interviews on issues relevant to Soldiers, military families and all the amazing Army supporters out there.